Then I Got To Thinking...: The drought. I feel the exact way I was really getting back into running but it's been WAY too hot to run outside. And now its hard to get back into again :( Make a new playlist, that's what I'm going to do to get myself excited for a run! Tracy!!!! You can do it!!!! I just started running today after 11 years. Yes, ELEVEN!!!! I tried on my wedding dress on Sunday and yes it fit, but not the way it should. I finally made myself change my eating habits and get MOVING!!!!! I've just gotten over being sick for 2 weeks. It's no fun at any time, but the summer is an extra bummer. Lately, I've been having a lot of dreams of myself out jogging. But I don't run. I can't run past 10 houses, it's that bad. But I feel like my dreams are trying to tell me something?? 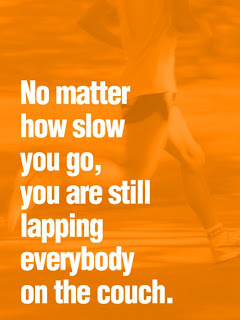 lol I envy people are runners..I wish I could do it. I guess I should just try? I have been in the biggest drought. I just am so exhausted and it seems the day goes by so fast. 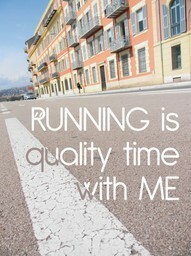 I am getting ready to start training for a half marathon in october, so i better hit the gym/pavement soon. You CAN DO IT!!! I spent 9 months not running (for good reason-your nephew) and ran another half marathon before he was one year old. I think you are feeling rushed for time... you aren't! You have never let set-backs like these get in your way before. You are (and have always been) a girl who can put her mind to anything and WILL do it. Let's do this thing! Small steps and the reminder that you have already done a half, so you are half way there! The feeling of accomplishment is worth it. These doubts make the feeling at the finish line EVEN better! Droughts happen. I went through one last week (I don't run, I do Zumba) where I didn't attend a single class, when I usually go 2-4 times a week. I also missed the entire month of May due to work and bronchitis. Life happens, and sometimes things get in the way. But as long as you pick it back up, all is good! You do that marathon! You'll be awesome!! I am experiencing the exact same thing right now with exercising and running! It's soooo hot in Houston that I can't stand to go running outside and ever since we moved a few weeks ago (and I got sick while we were doing it!) I haven't gotten back into my workout routine. I am hoping to get back into the swing of things over the next few weeks, though! 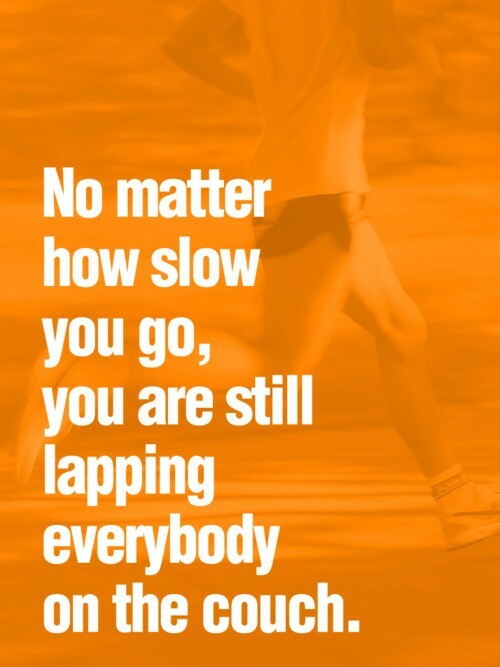 Good Luck getting back into your running routine! I hope you are having a great week. get back into it girl -- you and I both know how much better we feel about ourselves when we have been working out! i say go for 26.2--hoping i can do the same one day! I completely understand how you feel. I was doing yoga 4 days a week consistently for months but haven't done much since June. I used to feel weird if I went a day without working out and now I dread it, I really need to get back into a healthy routine. i wish i like running. i remember when you used to go running around lake merced all the time. i thought you were crazy. hope tim gets better soon! I haven't ran in forever! I haven't made the time either. Hopefully you can get back in the swing of things! Good luck! Running has become such a release for me - I guess it's just a positive outlet and way for me to get all my frustrations/feelings out in a healthy way. I've almost come to rely on it for those reasons, so it hasn't become as much of a chore (yet!). Something about being outside and just not really having a destination in point works well for me! But come winter, when the roads are covered in snow, and you best believe I go through ruts when I just absolutely do not want to get on the treadmill/elliptical. Oh yes. It happens to me too. I got up to 6 miles in April and then took off three weeks in May for a plethora of reasons like yours above, and I got sad about it. And then I sucked it up, started again, and now I'm back up and at it and ran 7 miles this past weekend! My first half is in October! And you can totally get right back at it! I think I saw a Nike ad somewhere that talks about the road not holding grudges and not being mad at you and being glad that you're returning. I have been working out now for year between combat classes, TRX training, running, and a bunch of other things and I can tell you that you are NOT alone in the "exercise drought" department! I get like that from time to time and I find that sometimes a break is just what I need and when I get back to it I am going just as good if not better than before! Keep you head up you will get back to your normal speed! I wish I was a runner...sigh. I do walk 3 to 4 miles a day...I hope you are having a great week. i wish i could run.. i am not a runner though, i'd rather be on a bike. but i go through the droughts too! hope tl get's better soon! I love that second running quote! I have never really gotten into working out. I really need to find a motivator because I would like to make sure I live a healthy lifestyle!! If you have any tips, let me know! Oh yes, I most definitely have gotten into a work out glitch lately and I need to get back into it full time, just not half time! I do miss running. I don't now if I mentioned to you but I can't run anymore because of tendonitis. So definitely make use of your legs while you can and don't be hard on yourself when life gets busy - you can only do so many things at one time!